Next Next post: A Holiday We Can All Appreciate: National Quilting Day! Wow, sounds like quilters heaven! Talk about a fantasy land! Sounds like just what every quilter would love! If only it was a real place…I can dream, can’t I?! Carnival could have used your creativity a couple of weeks ago! When’s the next ship set sail?? 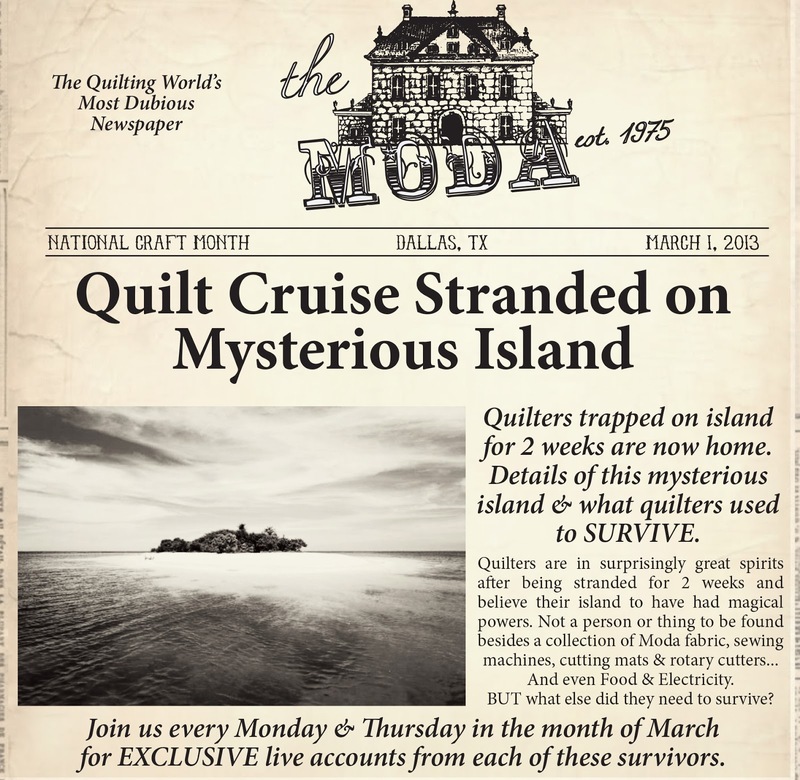 Two weeks and a ship full of women with the means to make quilts… can you just imagine the fun! What a delightful fantasy! Would love two weeks, or even one week like that! Oh my, I hope there was chocolate! They’d be good though~there’d be layer cakes, jelly rolls, dessert rolls, turnovers and candies. Yummy! The only other thing they’d need would be sunscreen! Ah, bliss!! Oh this is hilarious, can it be true? Lol. I am looking forward to the first guest! two vacations in one, I need that!! first a cruise and then my home away from home.